Few theologians have done as much as John Howard Yoder to articulate the case for Christian pacifism. 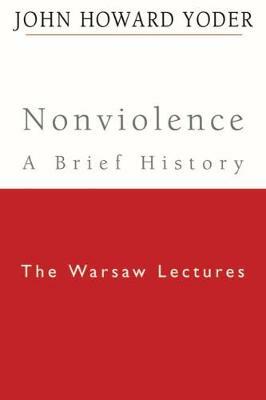 The eleven lectures collected in NonviolenceaA Brief History were presented in 1983 in Warsaw, Poland, and this is their first publication together.Despite their apparent diversity, the lectures trace a single trajectory: the increasing relevance of nonviolent thought and action. 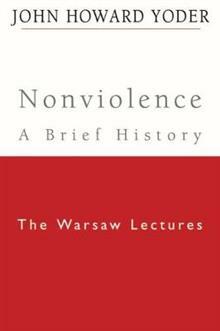 They argue that nonviolence aligns with the inner logic of the world and, therefore, with human social existence. A quarter century after they were delivered, Yoderas remarks seem prophetic, heartfelt, and essential.For those unfamiliar with the life and thought of John Howard Yoder, these lectures, together with their accompanying brief contextualizing summaries, provide an easily accessible introduction. John Howard Yoder (1926-1997), a highly influential Mennonite theologian, was Professor of Theology and Teaching Fellow in the Joan B. Kroc Institute for International Peace Studies at the University of Notre Dame. He is best known for his 1972 magnum opus The Politics of Jesus, as well as The Original Revolution: Essays on Christian Pacifism, The Priestly Kingdom, and The Royal Priesthood, among others.